Marlon “Chito” Vera made a statement this weekend. At UFC 227 on Saturday night, Vera made his successful Octagon return with a vicious body shot knockout of Wuliji Buren. The stoppage came at the 4:53 mark of the second frame. Featured below are some video highlights of the Vera-Buren fight, which kicked off the Early Prelims at the UFC 227: Dillashaw vs. Garbrandt event at STAPLES Center in Los Angeles, California. 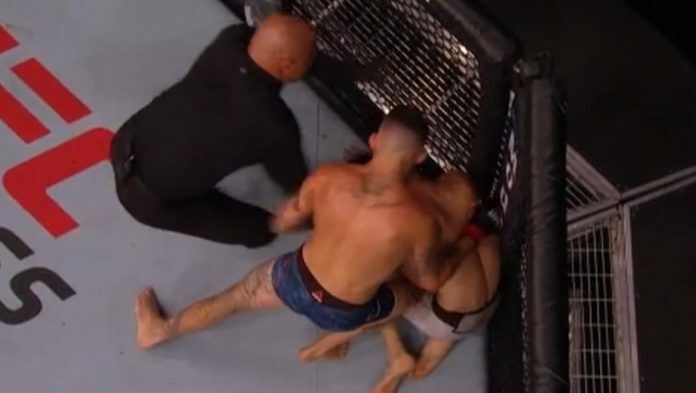 What are your thoughts on Marlon Vera’s KO of Wuliji Buren at UFC 227? Comment below!